Watch Lydia Ainsworth's Fantastical Video For 'The Road' Ainsworth's eerie, exquisite lullaby is a journey between fantasy and reality. It comes with a video that feels like taking a medley of psychedelics and wandering through the MoMA. 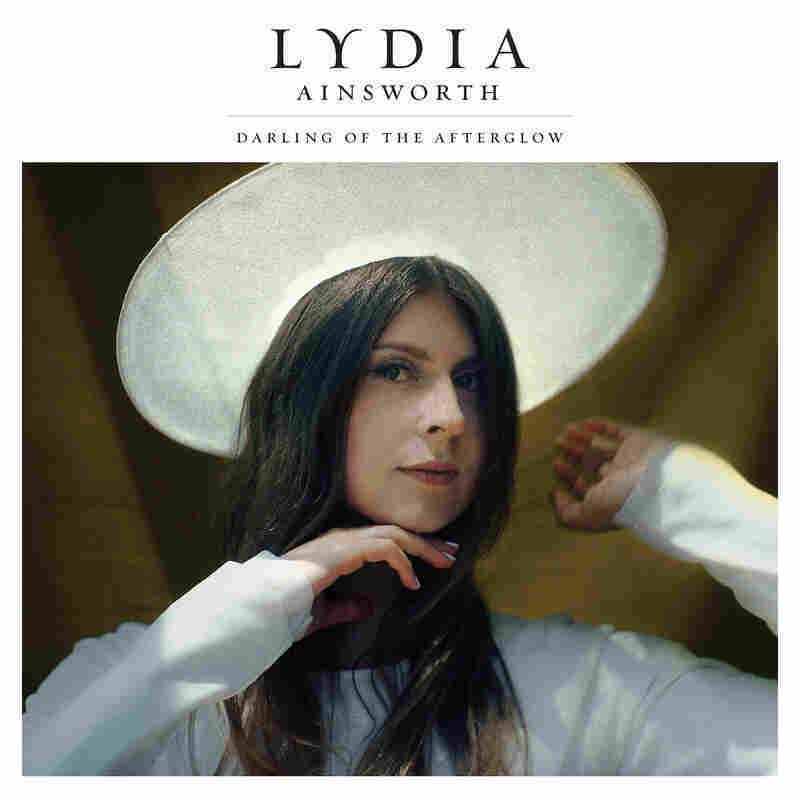 Watching the video for Lydia Ainsworth's "The Road," the first single from her sophomore album Darling Of The Afterglow, feels like taking a medley of psychedelics and wandering through the MoMA. Each scene feels more surreal than the last –– a haze of Aquarian dance circles, talking paintings and choreographed dance routines underneath a dark disco ball –– and it's never clear where reality ends and fantasy begins. This is Ainsworth's creative sweet spot. Her 2014 album, Right From Real, delighted in references to art and mysticism and the suggestion that we can't, and shouldn't, trust our minds. Darling Of The Afterglow follows a similar theme, but is more focused and personal, featuring songs she's written over the past seven years and serving as a diary of sorts. Ainsworth, a self-described art fanatic, dove deep into surrealism while putting the album together, studying artists such as René Magritte and Yves Tanguy along with philosopher Henri Bergson's 1896 book Matter And Memory, in which he suggests that "all sensation is already memory." She even studied Jimi Hendrix, a godfather of mind-bending experimental rock. Eventually, she wanted to write her own take on the limits of destiny. She tells NPR, "I wondered, what if you could create a state in which your sensations and memories live on forever? What would that look like? What would that feel like? What would that sound like?" Her answer is "The Road," an eerie, exquisite lullaby that drifts between delicate verses and mighty choruses driven by rich piano chords and electronic drums. Ainsworth doesn't like relying on traditional pop formulas, but chose to repeat one lyric — "let's go on and on once more" — to give the song, her most pop-inclined release yet, a sense of structure. "I've learned that sometimes, you've got to guide people," she says. Perhaps that was the thinking behind the music video directed by her sister Abby Ainsworth, which is based on paintings by Magritte and traces the song's journey between fantasy (the discotheque) and reality (the open field). The rest, though, is up for interpretation. "I don't think songs, films, or any art for that matter, needs to make sense immediately," Lydia Ainsworth says. "I like a little mystery. It makes you think." Darling Of The Afterglow comes out March 31 via Arbutus/Bella Union.